The UTC Endowed Graduate Fellows Program sponsors graduate studies leading to masters or doctoral degrees in the field of cyber-physical systems engineering. The goal of the fellowship is to attract exceptional students and to cultivate ties between graduate students and faculty from UConn and engineers and managers from the United Technologies Corporation. Fellows are expected to work closely with UConn faculty on projects that have the potential to help meet the critical needs of the nation in the design of high performance, reliable and cost-effective systems. Have demonstrated excellence in ongoing scholarly work aligned with UTC interests. Want to engage in new research directions in areas of interest to the UTC-IASE and UTC. Commitment by the candidate’s advisor (in writing) to provide the 50% RA support (to match the fellowship). Underrepresented groups in science, technology, engineering, and mathematics fields (STEM) are encouraged to apply to the program. US Citizenship or Permanent Residency are not mandatory but will be considered a preferred qualification. (1) Your name, department and thesis advisor name. (2) Title and brief description (500 words max) of your current research. (3) A summary of the relevance of your currently-funded or proposed research to areas of interest to the UTC-IASE (limit 200 words). (4) If applicable, source of the 50% RA match and award period for this support (dates from/to). (5) Your resume (limit 2 pages) including graduate and undergraduate GPA and key publications or conference proceedings. (6) Recommendation and commitment letter from your advisor. Submit your application as one single PDF file by 5:00pm, August 18, 2017 to Michelle Morse at michelle.morse@uconn.edu. Up to 10 fellowships will be awarded depending on applications quality and matching funds. Applications will be reviewed by the UTC-IASE Governing Committee, on the basis of the aforementioned selection criteria. Awardees and their advisors will be notified by August 25, 2017. Fellowship funds will be made available with the start of the 2017 fall semester. Individuals accepting this award may not concurrently receive other fellowships or traineeships. All UTC-IASE Fellowship awardees will be expected to first notify and then acknowledge the UTC-IASE in their publications, conference presentations, and final theses. For research executed in collaboration with UTC, fellows are expected to conform with export control and confidentiality agreements between UConn and UTC. Awardees will be expected to give a short presentation at a UTC-UConn networking event. Awardees are expected to provide brief bios and research abstracts for promotion to the UTC-IASE webpage, LinkedIn account and social media. Awardees will be expected to participate in the outreach activities of the UTC-IASE. Awardees will be expected to attend the UTC-IASE seminar and distinguished lecture series. Peter Luh, the SNET Professor in the Department of Electrical and Computer Engineering here at UConn, has recently been elected as the Chair of the IEEE Technical Activities Board (TAB) Periodicals Committee for the 2018-2019 term. The Institute of Electrical and Electronics Engineers (IEEE) is the world’s largest association of technical professionals, focusing on the advancement of electrical and electronic engineering, computer science, and information technology. The IEEE is cited over three times more often than any other publisher for patents filed with the US Patent Office by the top 40 patenting organizations (1997-2012). IEEE publications constitute around 30% of the world’s literature in electrical engineering and computer science fields – an immense volume of information. The TAB Periodicals Committee oversees essentially all but a few IEEE periodicals (e.g., IEEE Proceedings, IEEE Spectrum, and IEEE Access) – over 120 academic journals and more than 40 magazines. It is the duty of the periodicals committee to approve, monitor and review these journals and magazines to ensure their quality and timeliness. Each year, Editors-in-Chief of journals and magazines and Vice Presidents of Publications of IEEE Societies and Councils meet to discuss these publications and their status, and formal reviews are held every five years. The publications committee consists of the Chair, Immediate Past Chair, 8 Directors or Society/Council Presidents (or their designees), and four additional voting members. 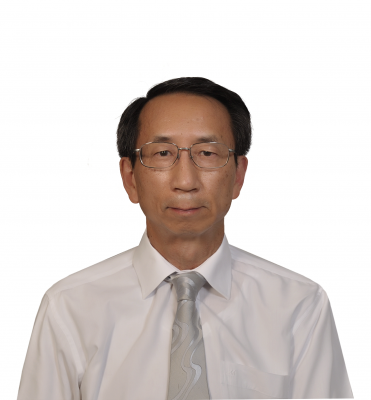 Peter Luh, as Chair elected for the 2018-19 term, will be responsible for overseeing proposal developments, approvals, publication reviews, and overall quality and timeliness of IEEE TAB periodicals. The committee and IEEE at large aim to “push frontiers” of electrical engineering and computer science, while dealing with major challenges in academic publications such as emerging areas, competition and open access.